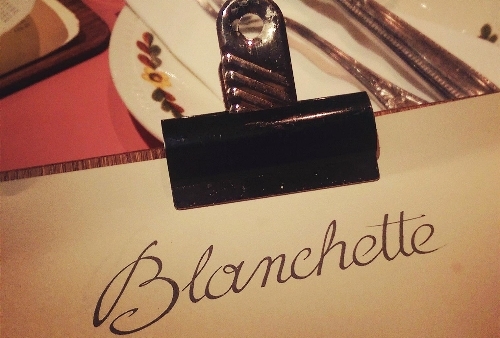 I have a new favourite restaurant…Blanchette on D’Arblay Street, Soho. If I was ever to own a restaurant, this is exactly what I’d want it to look like. 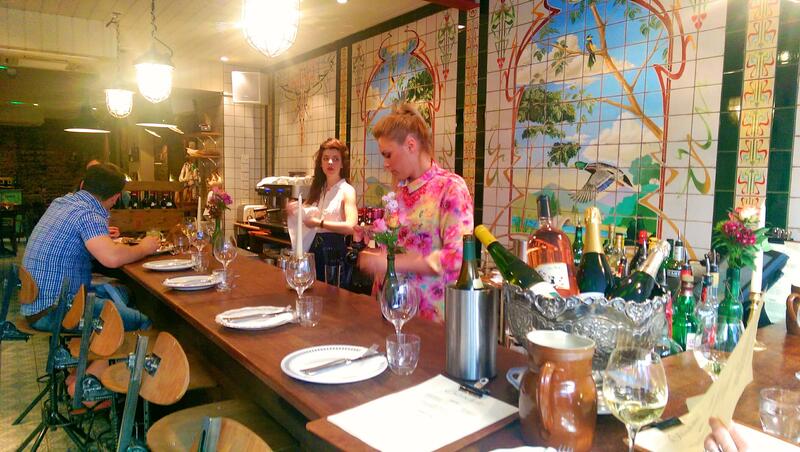 Its almost as if they’ve taken my dream restaurant from my head and popped it into the middle of Soho. Even better, its just a 10 minute walk from my office. 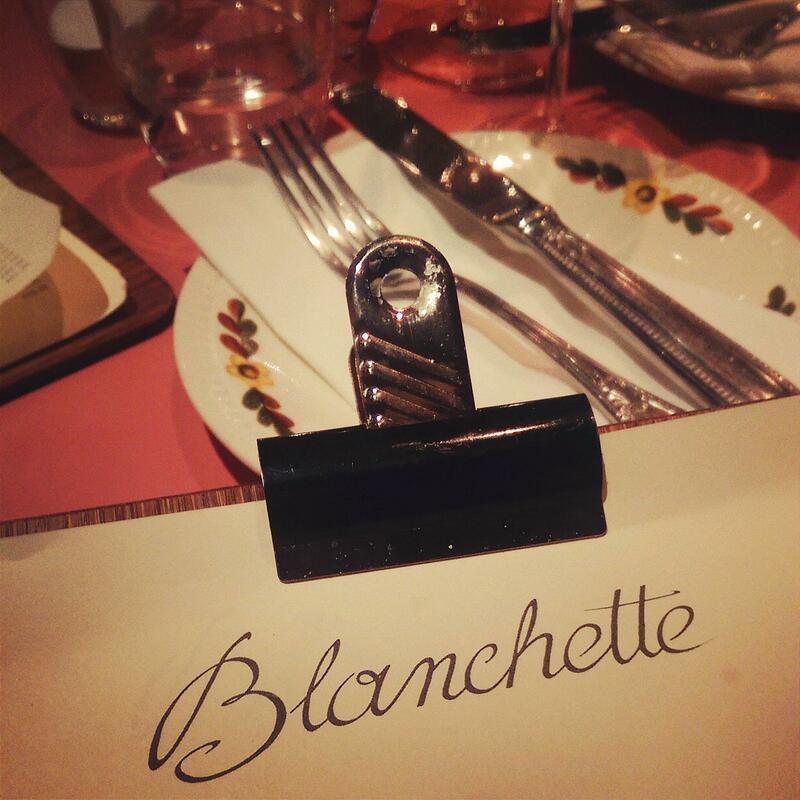 Blanchette opened in December ’13 and is run by the three Alary brothers, Maxime, Yannis and Malik. They also have Salt Yard Group co-founder Simon Mullins and chef director Ben Tish on board as consultants and stakeholders. With all these guys at the helm, its no wonder it has been such a success in the short time its been open. 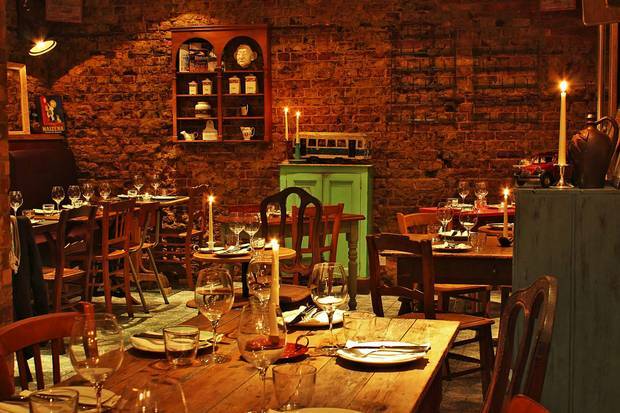 The rustic and quaint interior is decked out with decorative tiles and exposed brick walls adorned with antique mirrors and shelves filled with junk shop paraphernalia, albums and books. Mismatched furniture, crockery and cutlery make it feel like homely, at least to me, as that is pretty much what my flat is like. 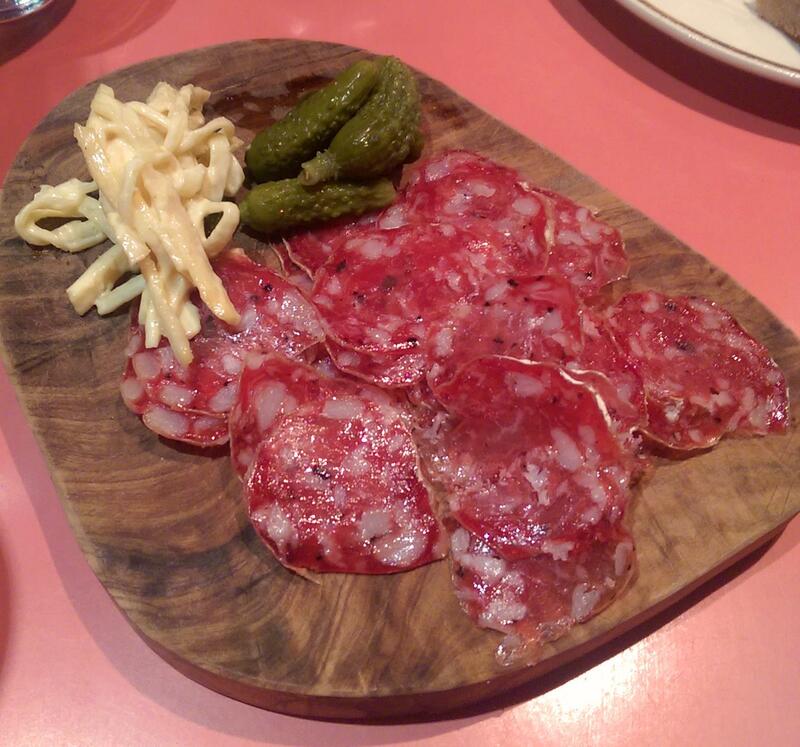 Blanchette serves small classic French sharing plates, a bit like French tapas. The menu is only two pages long which is a good sign. Its divided into ‘snacks’ (terrine, baked St Marcelin, frogs legs etc), ‘charcuterie’, ‘cheese’, ‘fish’, ‘meat’ and ‘vegetables’. I actually found it quite hard to narrow it down to just a few dishes as everything sounded so good. We began with bread and butter. 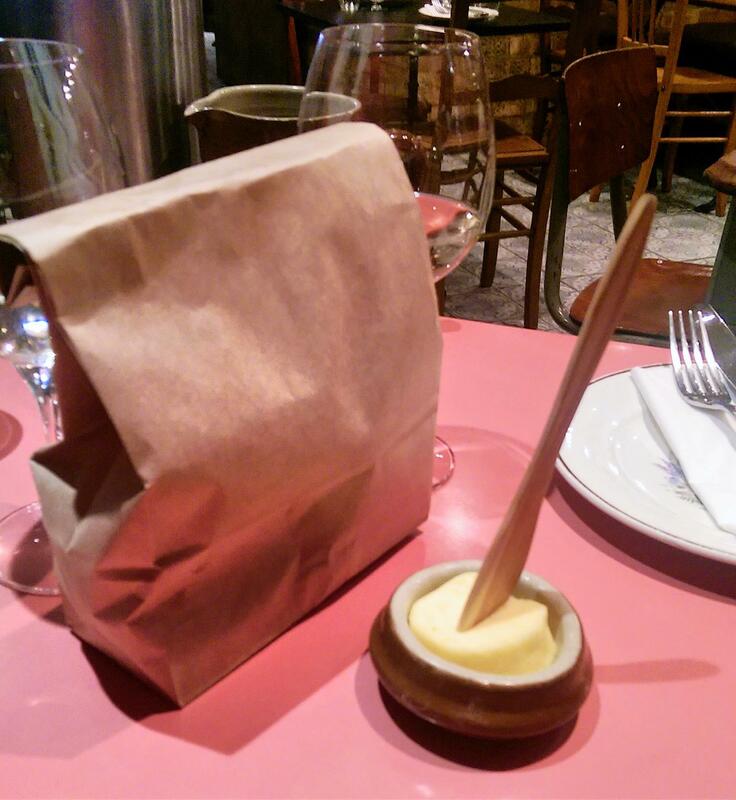 The bread arrived in a brown paper bag which, as soon as you opened it, released the most amazing aroma of warm, fresh bread. The butter was soft and salted, which was a relief as it seems to be rare these days. 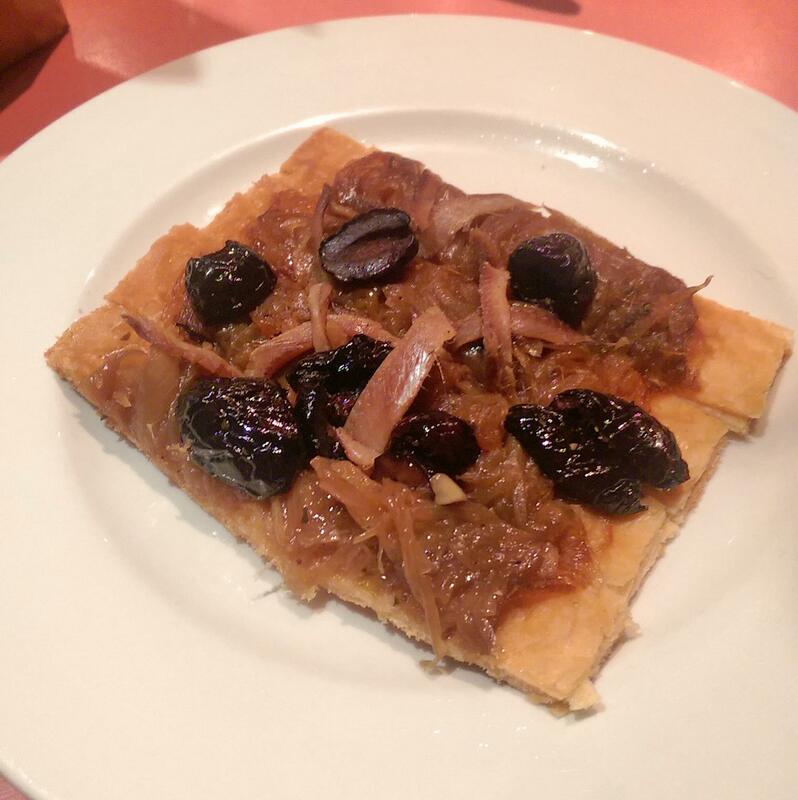 The first dish to arrive was Pissaladière (£3)… sweet, caramelised onions with olives and anchovies on a pastry base. Lovely. The sweetness of the onions, the spiky olives, salty anchovies and the buttery pastry worked so well together. The truffle salami (£6) arrived shortly after which smelt and tasted incredible. 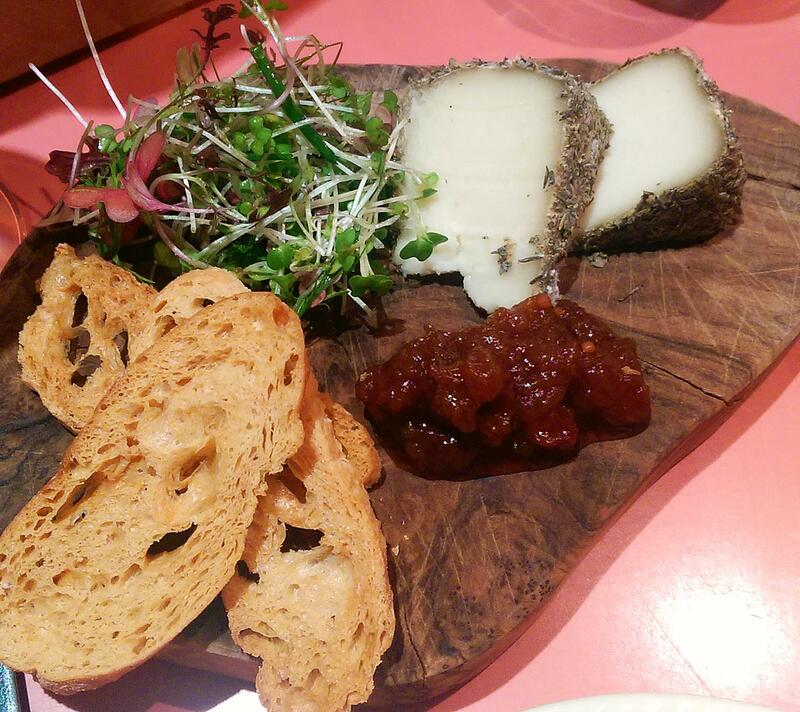 I wasn’t wild about the Alta Népita (£4.50), ewes’ milk cheese with Corsican aromatic herbs. It was nice but there were so many other great plates on the table, it didn’t excite me as much as the rest of the food. The chutney was very tasty though and the two complimented each other well. 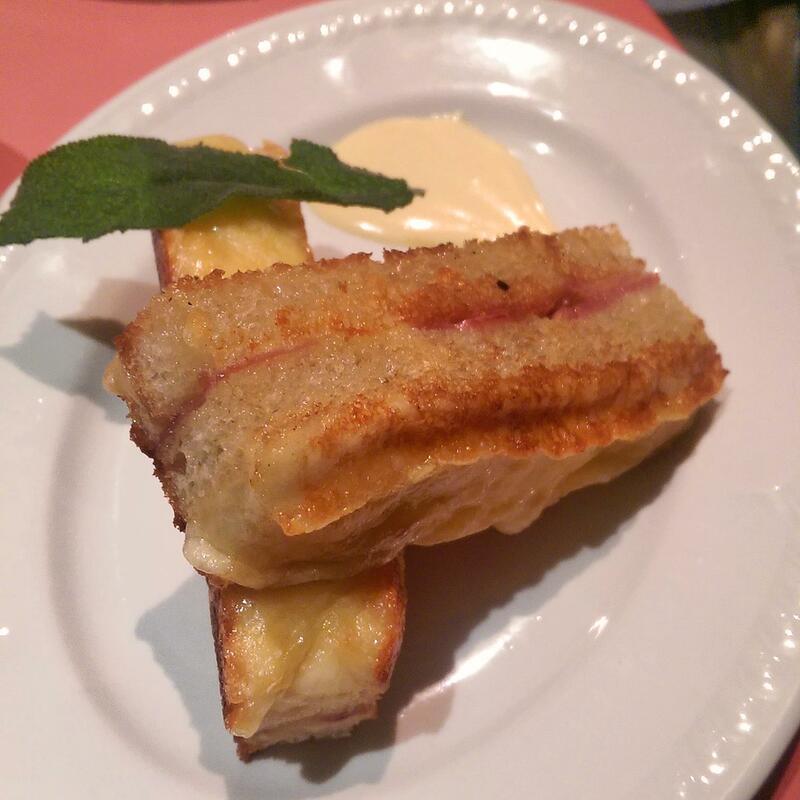 Now this next dish was the highlight of the night…two fingers of Croque Monsieur (£4). I would go as far as to say this was the best croque monsieur I have tasted in a very long time. Biting into it was heaven…the fried crunchiness of the bread, the creaminess of the cheese, the hit of mustard at the end. I was genuinely pissed off that I had to share it, I could happily have eaten three servings of this alone. I order it every time I go there. 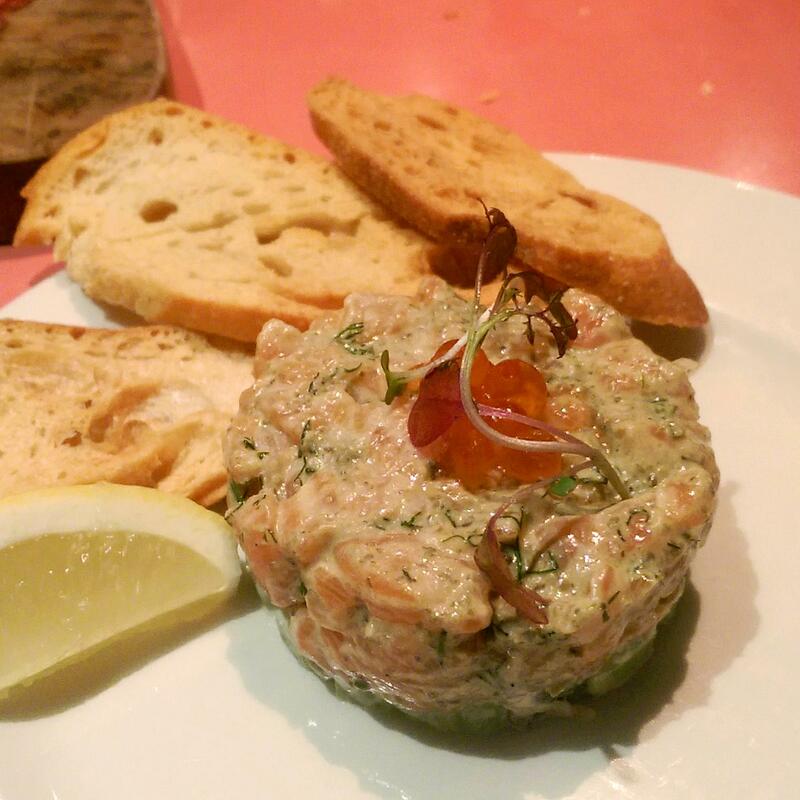 The tartare of the day was salmon served with cucumber, dill and crème fraiche (£7). It was perfectly light, fresh and zingy. 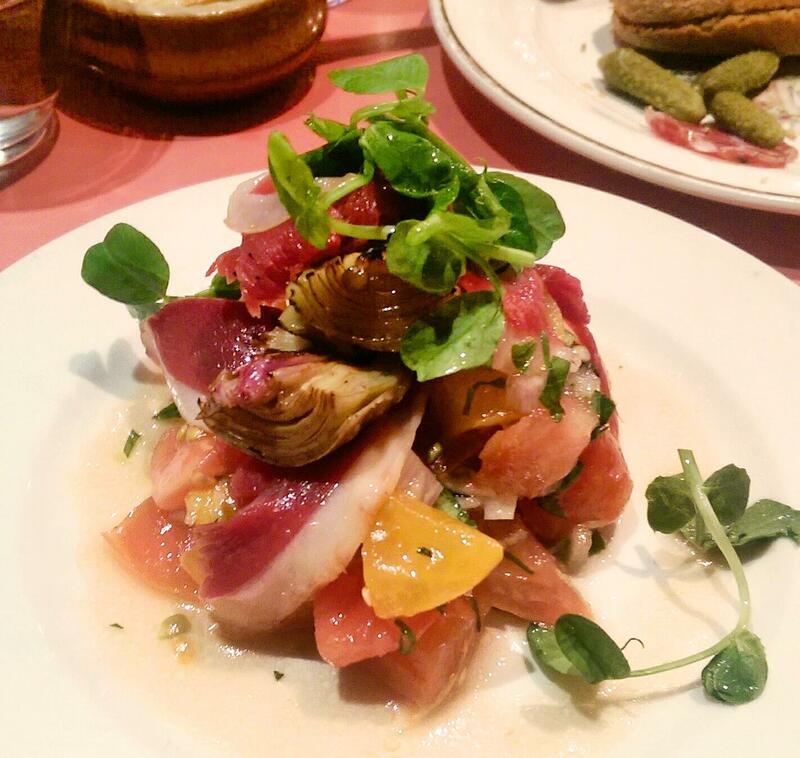 The smoked duck breast salad with Heritage tomato vierge and baby artichoke (£7.50) was full of flavour, juicy, fresh and light, the duck was tender and perfectly smoked. 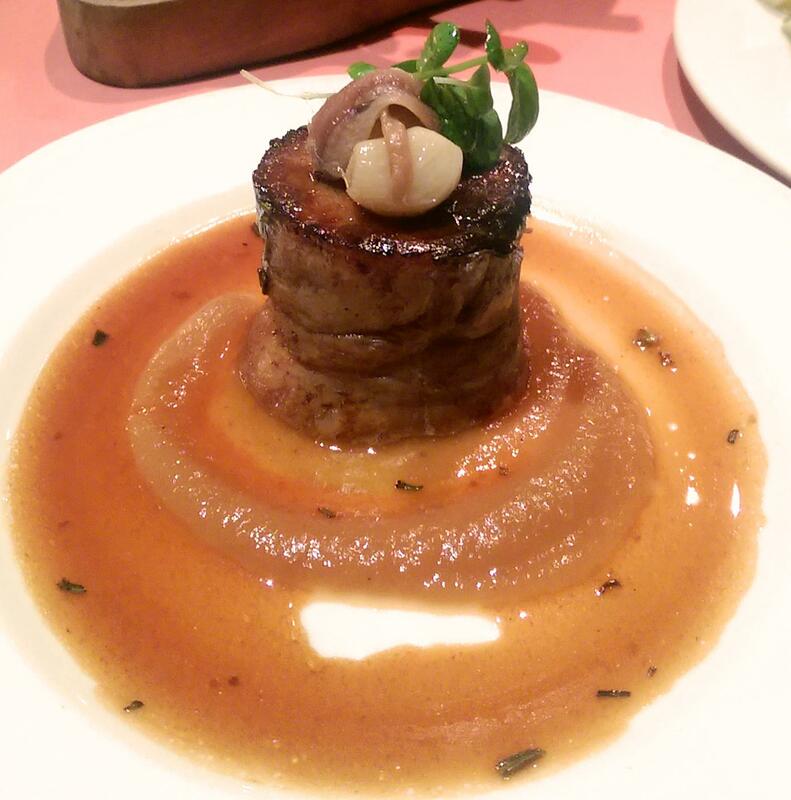 The braised lamb shoulder with anchovy, rosemary and soubise sauce £8.25 was a delight to eat. The caramelised lamb melted in my mouth, the anchovy added a subtle saltiness without overpowering the meat and the savoury onion soubise tied it all up with its smooth richness. 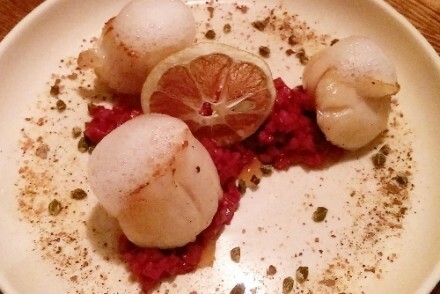 If I could have dived into this dish, I would have. 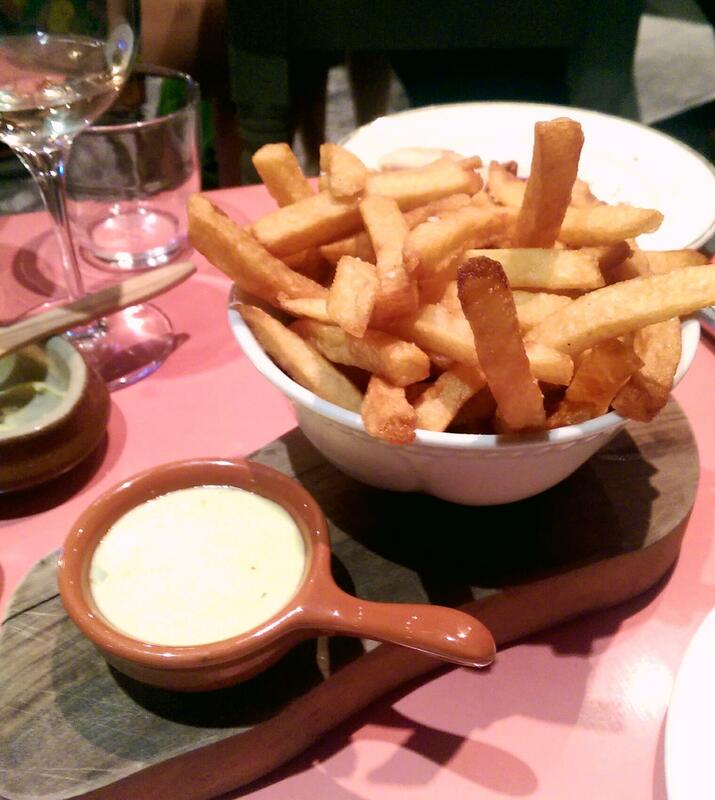 Accompanying the lamb were some bloody good fries served with bearnaise sauce. 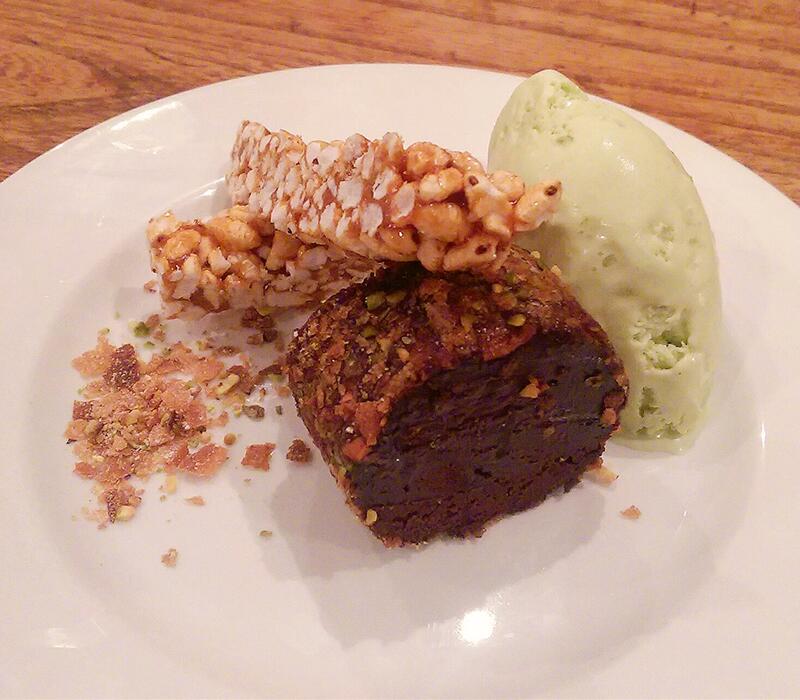 Now you would have thought that after all that I would have been stuffed, but I still managed dessert…chocolate marquise with salted caramel puffed rice and pistachio ice cream (£5.95). The rich and dense chocolate was actually a bit much for me after all that food so after a couple of bites of that I moved onto the beautiful pistachio ice cream and the salted caramel puffed rice, which I loved. I could have had a plate of just the puffed rice to be honest. 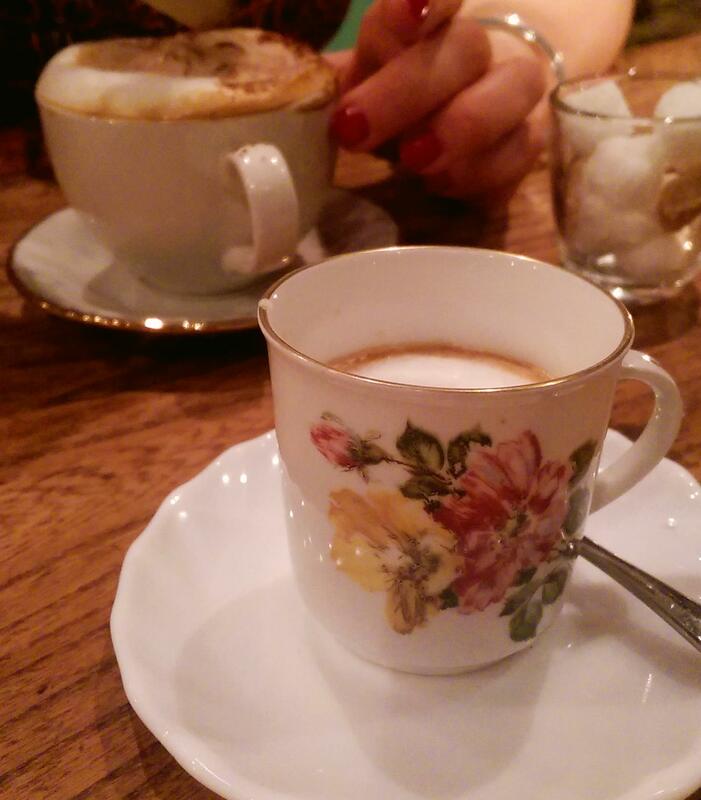 Finishing off the evening with a double espresso, I felt happy and content. As you can probably tell, I love Blanchette and have been several times now. 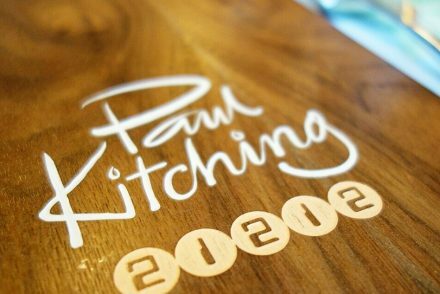 I love the atmosphere and feel of it, the staff are always incredibly friendly, helpful and knowledgeable and seem to genuinely enjoy describing the dishes to you. I’ve never had a bad meal there and I am sure I’ll continue to have plenty more great meals there. 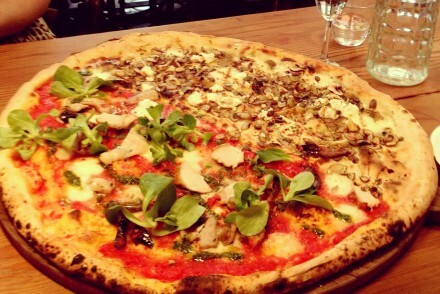 Even better…you can book which is a rare treat in Soho nowadays. Well I can’t speak for everyone else’s meals there, I just know that I’ve eaten there a few times now and I’ve always had a great meal. 🙂 I hope you like it if and when you go.